The Mayan Calendar consists of 20 different Daysigns which are grouped in waves of 13. Once every 13 days begins a new wave. It takes 20 times 13 days until the pattern is starting over. There are different synchronizations in use for how the Tzolk'in should be aligned with our Western calendar. The reason for this confusion goes back to the 16th century when the Mayans learned to become secretive about their traditions. In malicious ways the invaders had attacked the Natives during festivites and ceremonies when religious ceremonies would take place. In order to protect themselves from further genocides the Mayans began a campaign of confusion, promoting fake calendar synchronizations. It so happened that over the many generations many tribes would end up following one of these fake synchronizations. Jose Arguelles brought the Mayan calendar back to public attention, calling it Dreamspell Calendar. I began applying the Mayan calendar many years ago. Over and again it happens that I find myself absolutely stunned by the Dreamspell's most amazing accuracy - be it people's birth signatures or mundane events. 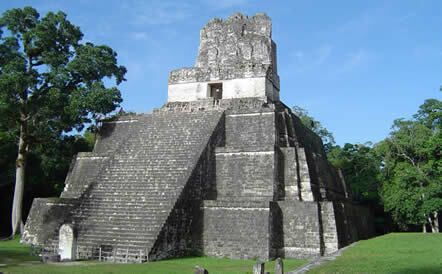 It's simply mind-blowing how amazingly accurate the Mayan symbology is manifesting! Mayan tradition tell us the Dreamspell is synchronized to our galaxy's heartbeat. It synch with the Dreamspells growing popularity humanity is waking up to belonging to a galactic reality. Every 52 years, the Mayan Calendar synchronizes with our Western Gregorian calendar. If you'd like to find a Mayan Dreamspell signature you can click here.